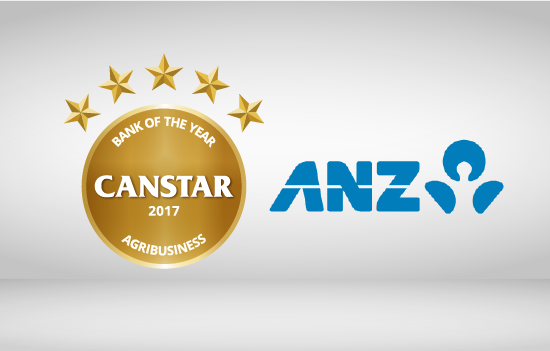 Canstar is delighted to announce that ANZ has won Canstar’s 2017 Award for Bank of the Year – Agribusiness. What is this award, and what does ANZ offer agribusiness customers? Canstar has just released our latest research about products on offer for agribusiness in Australia, to help Aussie farmers compare providers on price, features, and services: the Bank of the Year – Agribusiness Award. 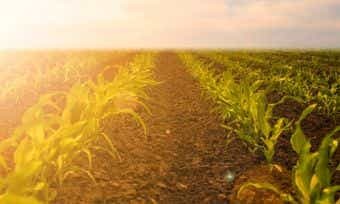 While we can’t say for sure what the future of the farming industry might hold, we can tell you which institutions and lenders can provide you with outstanding value in the current market. This year, Canstar congratulates ANZ on winning the Canstar Bank of the Year – Agribusiness Award for 2017. Keep reading to learn why ANZ won, and what it can offer you. What is the Canstar Agribusiness Award? Canstar’s Agribusiness Award is given to the financial institution that provides the best combination of products across a range of business profiles, as well as excelling in a range of institutional factors. The award aims to give recognition to the institution that backs up quality products with great service to agribusiness customers. As well as these products, a significant factor in deciding the winning brand is institutional factors. Due to the specialist nature of the various types of agribusinesses, it is important that an institution is able to provide the necessary support and services. For more information on how we rate agribusiness providers, check out our ratings methodology below. ANZ’s history dates back about 180 years to 1835, first starting out in London and Sydney as the Bank of Australasia. Now one of the Big Four banks in Australia, ANZ is the largest banking group in the Pacific and New Zealand region. ANZ is ranked among the top 50 banks in the world and provides banking and financial products to over 9 million customers in 30 countries. As well as agribusiness, ANZ offers a whole host of products and services to customers, including credit cards, home loans, insurance, superannuation and much more. ANZ has won many awards with Canstar, including the 2017 and 2016 awards for Bank of the Year – Agribusiness. ANZ also funds many worthy causes to benefit the regional Australian community through three types of community grants. ANZ aims to become a super-regional bank, and one of its key business strategies is a focus on agribusiness. So what exactly does ANZ offer agribusiness customers? What does ANZ offer agribusiness customers? Canstar’s Agribusiness Award recognises the institution that is leading the pack when it comes to product and services for that industry. After winning in 2016, ANZ has once again proven to be offering a strong agribusiness solution for Aussie farmers. We have provided a snapshot of ANZ’s agribusiness loans which accommodate for $250,000 loans, in NSW, that are secured by commercial property and farm. You can use this comparison tool for yourself to compare all providers on our database, here. Seeds of Renewal is a grants program that has been supported by ANZ since 2003. It provides technology and funding to help build thriving regional communities and create education and employment opportunities. Since 2003, ANZ has provided more than $4 million to regional communities, and $275,000 since this time last year. ANZ’s FMD at call product is one of the strongest of the providers we rated, offering an at-call rate of 1%, well ahead of many of its competitors in the market. 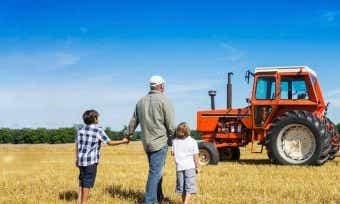 The ANZ Farm Management Deposit offers unlimited free deposits and withdrawals as well as a healthy interest rate, whereas other institutions may charge fees for these transactions. To learn more about FMDs, read this article. Another category that ANZ performed strongly in is that of personal relationship managers. ANZ’s relationship managers are specialists who can provide assistance in the areas of seasonal finance, insurance, wealth management and more. ANZ has over 200 agribusiness relationship managers across Australia, with many of these located in remote and mobile branches. Finally, ANZ offers strength and quality across all areas of its product suite. For example, ANZ has 166 specialised agribusiness centres across the country – almost 60 more than its nearest competitor. There is also a 12-hour per day business call centre specific to ANZ. 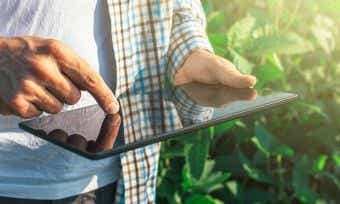 For farmers who want to manage their budget online, ANZ’s online banking system offers automatic cash flow graphing and transaction graphing, to make agribusiness management easier. Agribusiness isn’t the only business product provided by ANZ – you can also check out ANZ business credit cards and ANZ business loans on the Canstar website. Canstar is an information provider and in giving you product information Canstar is not making any suggestion or recommendation about a particular credit product or loan. If you decided to apply for a credit product or loan, you will deal directly with a credit provider, and not with Canstar. Rates and product information should be confirmed with the relevant credit provider. For more information, read the product disclosure statement (PDS), Canstar’s Financial Services Guide (FSG), detailed disclosure, important notes and liability disclaimer. Products displayed above that are not “Sponsored” are sorted by Advised Interest Rate . CANSTAR may receive a fee for referral of leads from these products. See How We Get Paid for further information. The table above does not include all providers and may not compare all features relevant to you. View the CANSTAR Agribusiness Star Ratings Methodology and full report. CANSTAR is an information provider, and in giving you product information, CANSTAR is not making any suggestion or recommendation about a particular credit product. If you decide to apply for an agribusiness loan, you will deal directly with a financial institution, and not with CANSTAR. Rates and product information should be confirmed with the relevant financial institution. For more information, read our detailed disclosure, important notes and additional information. Read the comparison rate warning.